More Fun Stuff From the Bead World! Aloha! We're back from our cold but fabulous trip to Connecticut to visit our daughter's family for fun and birthdays. I'll post more about that when I get my photos organized. Wanted to share with you this post I read this morning from Marianna at PRETTY SHINY THINGS. 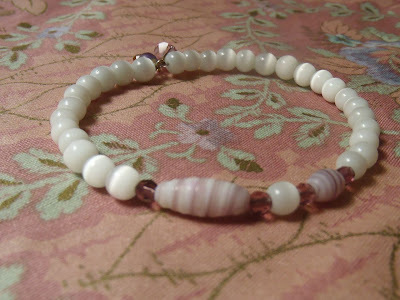 I found her blog when I was blog hopping for the Bead Soup Blog Hop a few weeks ago. Lots of fun eye candy on her blog. But today she posted about THE ART BEAD LOVE TOUR. Love the name! 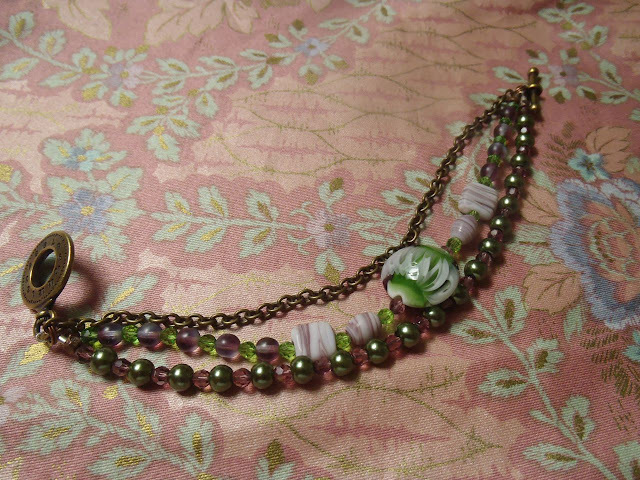 A chain of handmade beads has been traveling around via USPS for about a year and a half now. How have I not heard about this??? So fun!! And I'm all about having fun with beads!! Check out the links highlighted to read more about it. Hope they make their way across the Pacific to me one day :) Have a great day! 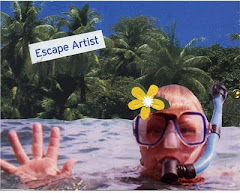 Aloha and Welcome to 'The Second Reveal' Blog Hop Party!! My soup has been cooked and waiting to be served -- So glad you came by to have a taste! For those of you that don't have a clue as to what I am talking about, Lori Anderson from "Pretty Things" has been putting together these Bead Soup Blog Hop Parties for the past few years where she partners us with beaders from all over the world and we post our goodies on Reveal Day - Today! You can read more about it HERE. We can't thank you enough Lori! All of your hard work is sooooooo appreciated! The organization of it all must be overwhelming! 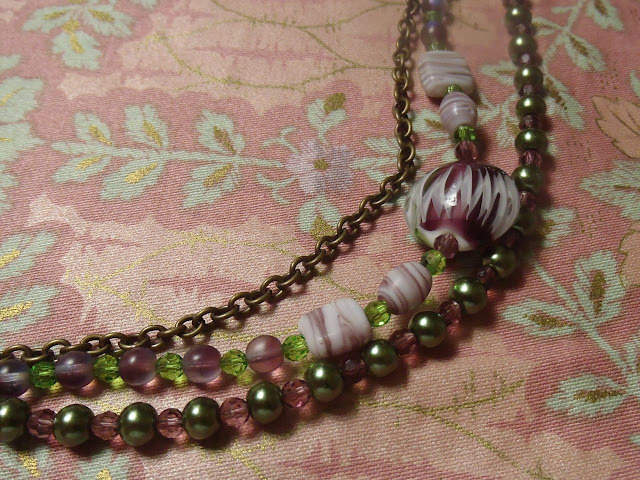 First, I knew I wanted to use that focal lampwork bead in something that would really stand out. I love to wear bracelets so decided to use most of the beads in a really special one. Here it is! Like I said, lovely beads! 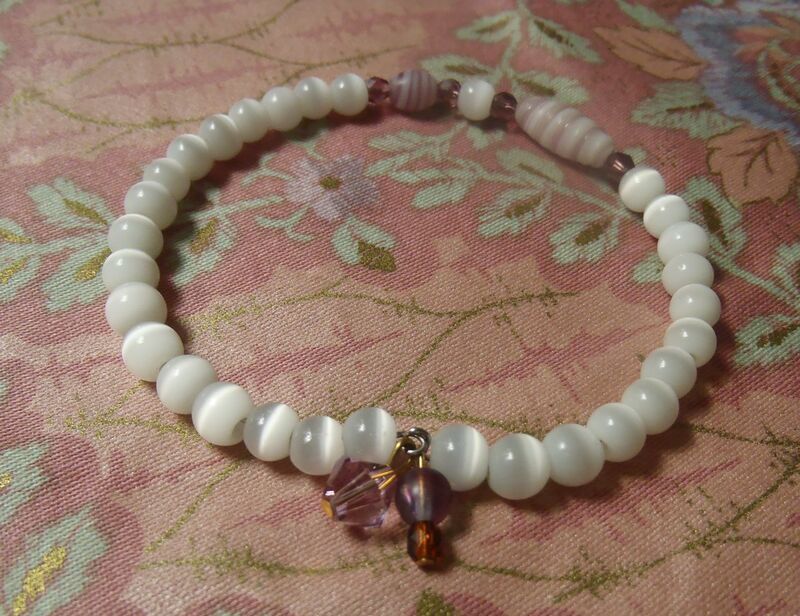 Pearls and crystals and lots of yummy beads! Okay.....there's more! 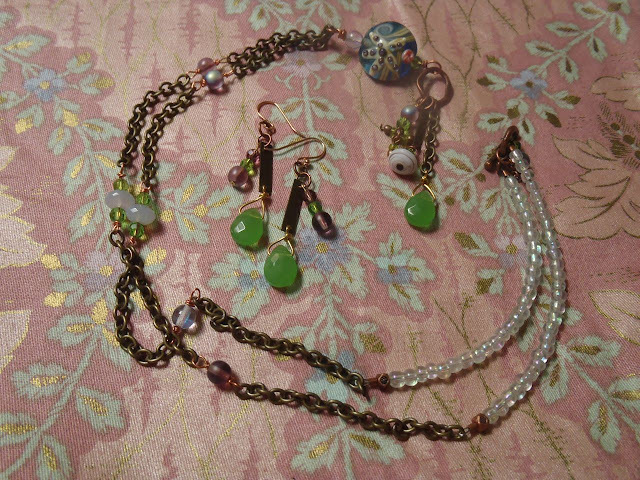 Becky included three green tear drop beads that I hadn't ever worked with before. I've seen them in different jewelry pieces and really like how they just gently dangle. Much easier to do than I thought! I used one to hang off this next necklace and the other two for dangly earrings. I bought the lampwork sea star bead at the Whale Day Festival (I LOVE the Whale Day Festival--especially the Whale Day Parade--every February in Kihei) this year and thought it would be perfect for soup. 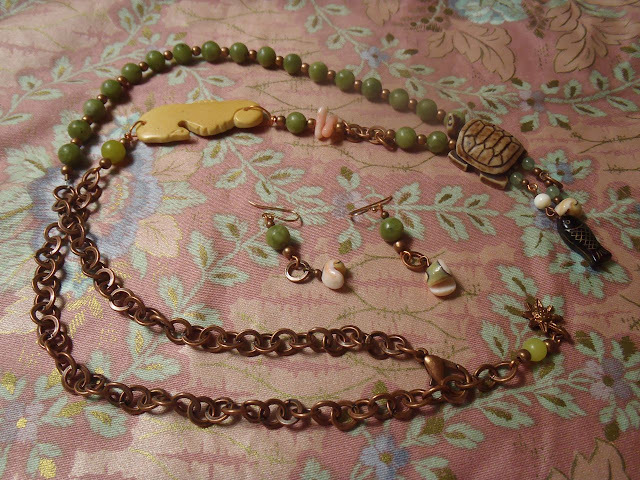 Used the crystals Becky sent and the rest of the chain from my soup as well. Love the way it turned out -- so fun to wear. 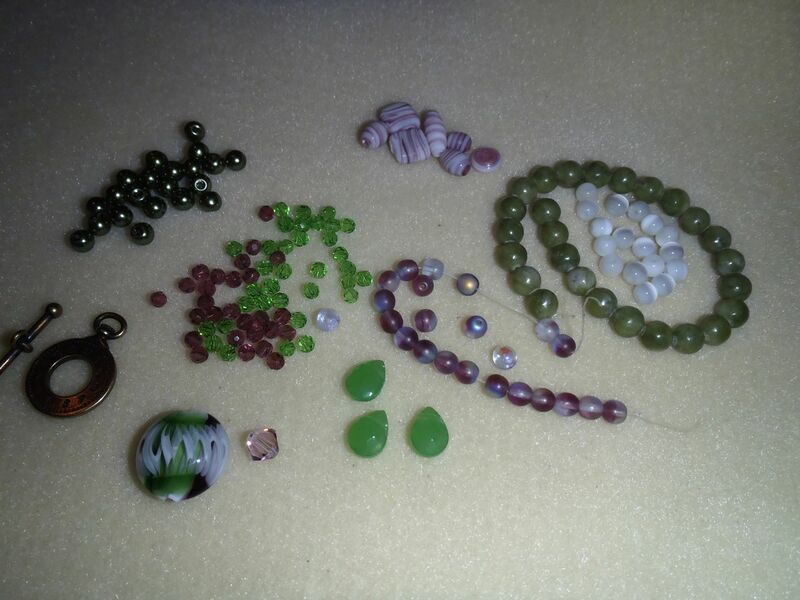 The last bit of my soup were the green, jade looking beads that I just couldn't figure out how to use in any of the pieces I made. I got to meet an online friend from my Art Charms group while she was visiting Maui last month and I took her to my favorite bead shop in Paia, Aloha Beads. We each bought a Honu (green sea turtle) bead carved from bone to make ourselves something special to remember our meeting. What could be more perfect for a Honu necklace? I also bought the Sea Horse bead at Aloha Beads as well.